We have over 80 years experience in renovating existing or new hardwood strip, parquet or some engineered boards, the staff that we have are fully trained and have many years experience. Technology has come a long way in the last few years and our sanding machines are now fitted with dust extraction which can take upto 98% of the dust particles out of the air, vastly cutting down on cleaning. Depending on what kind of project it is, we are very flexible on our working hours. If it is a retail or commercial property that has to be open during normal hours, this is where we offer our out of hours night time service as we know that time costs money so we have to adapt to the current economic climate. We also respect that domestic dwellings areas are often being occupied during certain hours so we can plan around your schedules. 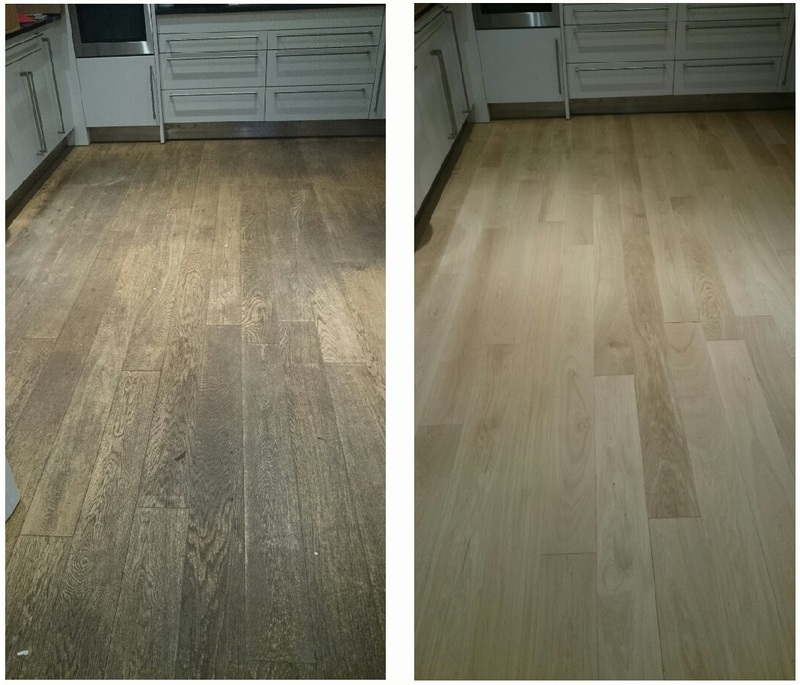 Our wood floor sanding team could bring your old tired wood floor back to life. If you are looking to change the colour of your floor then this is also no problem. We offer a patch testing service where we can create a colour to suit your requirements, with tests either carried out at our warehouse facilities or at the chosen project. All of our maintenance work comes with a full cleaning & maintenance regime carefully put together by our aftercare sales team, they are individually adapted to meet your needs and requirements. There are many different floors available for the sports and commercial industry with varying types of surface material to maintain. V.A. 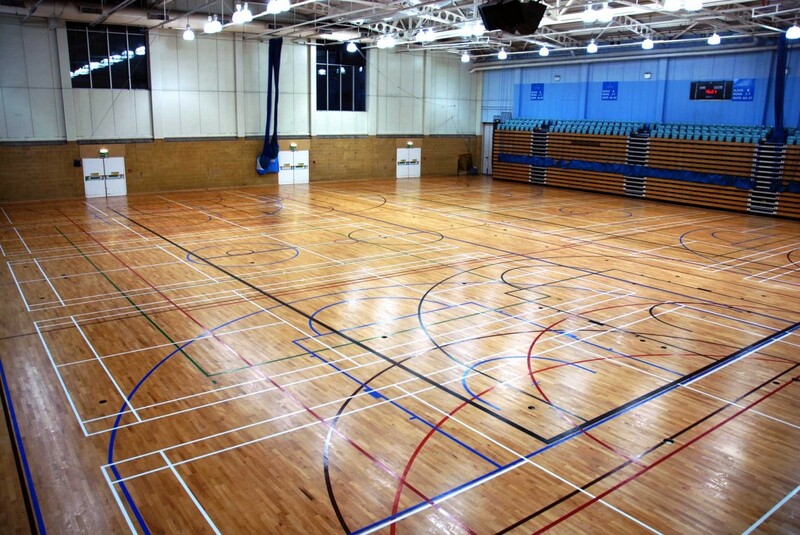 Hutchison Flooring Ltd are an independent specialist hardwood flooring contractor and are able to undertake all types of sports hall refurbishment. Each floor has a different level of life expectancy, supply cost, performance and maintenance costs. 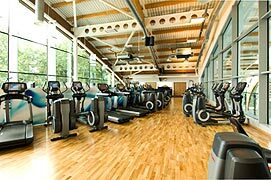 Many sports centres across the UK are at the point where crucial maintenance is required to improve the playing surface. This would not have been necessary if the correct maintenance was followed, and it has been proven that regular maintenance of hardwood floors will improve the overall life cycle cost and provide a far better and safer surface for the end user. 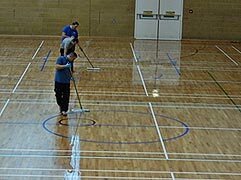 Some sports hall surfaces can become slippery and there is always a chance that a player can become injured whilst playing on the floors. Slips and fall are one of the biggest areas of litigation, and for this reason alone it is important that the floors are correctly maintained to eliminate any blame for bad surfaces. 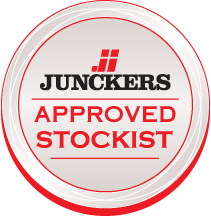 We use only the latest lacquers on the market, such as Junckers and Bona. We will visit any site free of charge and advice on the cleaning and maintenance requirements needed and also work out any long term maintenance plans tailor made to suit each site. Junckers Flooring will warrant the life and long-term performance of their floors, as long as the flooring is maintained in accordance with Junckers Cleaning and Maintenance Guidelines, and uses Junckers maintenance products. This is why it is so beneficial to keep hardwood flooring in the best condition possible with regular, cost effective, maintenance to save on the expensive outlay associated with replacement and repairs. • If this is kept up properly it may not be necessary to fully re sand the floor for 7-10 years. This will involve cutting the floor back to bare wood, re-paint any sport lines (if required) and re sealing with Junckers HP Sport lacquer. In the past we have been involved in a lot of serious refurbishment projects that may not have been necessary if the correct maintenance regime was followed. 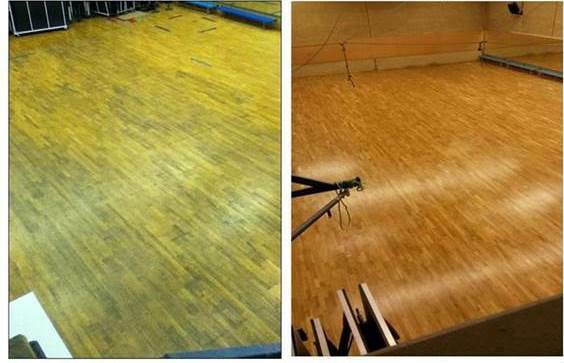 The beauty of a Junckers solid hardwood floor is that even badly maintained floors can be revived! By following the Junckers maintenance guidelines you will prevent this happening and keep the floor looking great and performing as it should all the time.